In the world of obstacle course racing (OCR), Robert Killian is a household name. Considered one of the greatest OCR athletes in the young sport’s history, he has quickly built a legacy since his racing career took off in 2015. In addition to being a pillar of the Spartan Pro Team, Killian’s list of accomplishments include Army Special Forces Captain, 2009 Kona Ironman Military World Champion, 2010 Army Athlete of the Year and 2016 Army Best Ranger. 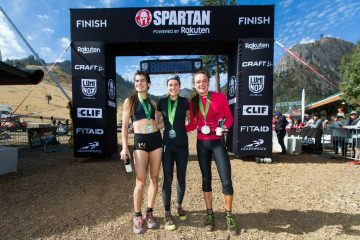 Killian is also a regular Spartan Race Stadium Series champion, who surprised the field by taking the 2015 Spartan Race World Champion title on just his fourth race. 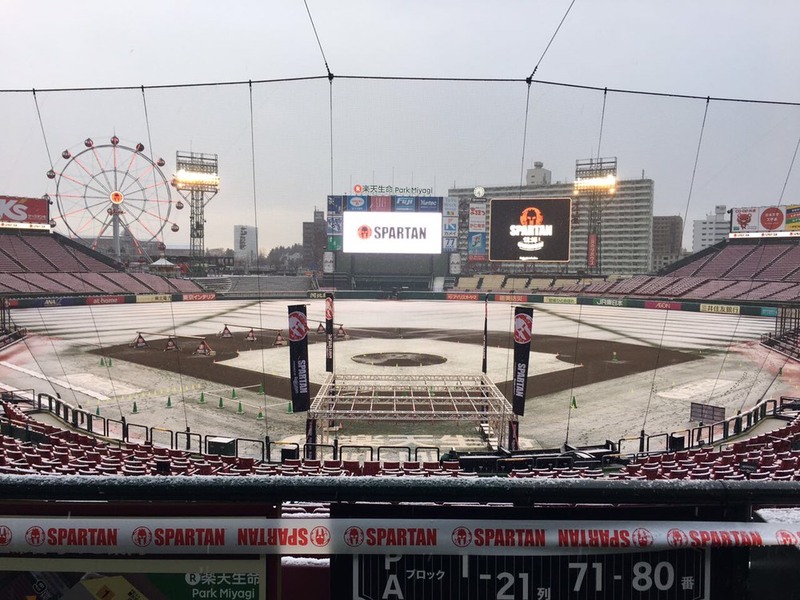 Considering his accomplishments, it is perhaps no surprise that Killian was gracefully victorious in the first Spartan Stadium Race ever in Asia, held last December on a snowy morning at Rakuten Seimei Park Miyagi — home of the Tohoku Rakuten Golden Eagles professional baseball team. 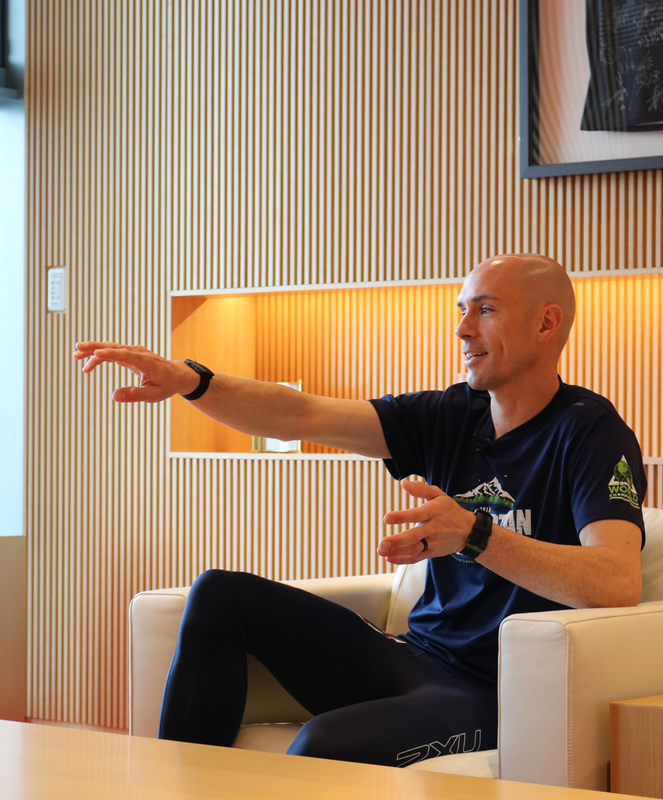 The Monday after the race, Killian made his way to Rakuten Crimson House to speak to the company powering Spartan Race, share training tips with Rakuten’s Crimson Warriors and talk about what drives a world-class Spartan. 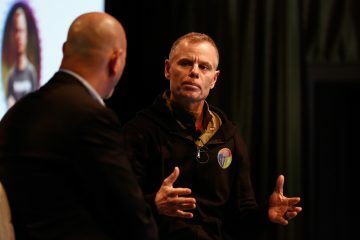 2015 Spartan Race World Champion Robert Killian took first place at the Spartan Sendai Stadium Sprint held on December 15, 2018. Congratulations on winning the Spartan Sendai Stadium Sprint! How confident were you going in to the race? With any OCR (Obstacle Course Racing) race, especially Spartan Race, you can’t be 100% sure you’re going to win any race. I take it one obstacle at a time. There was some very steep competition at the race. Everyone was going as fast as they could. I had a big target on my back, and they wanted to beat the champion. The conditions were a bit of a surprise, so that made it more challenging. But I’m from Colorado so I felt right at home – it was a good day and the snow made it epic. What was the most difficult part of the race? Physically, the most difficult part was the sandbag carry. It was extremely long and in the middle of the race. You’re already a bit tired, and it was a really long carry – 60 lbs. is a significant amount of weight. Now mentally, it’s always the spear throw. It’s a gamble, really. You can practice it as much as you want at home, but when you get there, there’s still a chance you’ll miss and have to do burpees. Once I nailed that, I knew I was good to go. It’s quite the trip from Colorado to Japan. What inspired you to travel 5,600 miles to participate in the Sendai race? As a professional athlete, being able to represent your country internationally is huge. We’re competing in 42 different countries with Spartan Race: That’s a lot of opportunities to go out and experience different cultures head-on. I remember thinking, I was in Iceland last weekend, China this weekend, why not just end this season on a really high note? 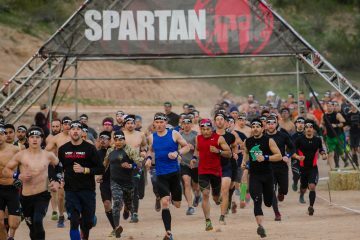 Spartan has grown into a global sport with over a million participants running in 200 plus races a year in 42 countries around the world. If you add in the extended family and fans on social media, there’s a 5 million member-strong Spartan community out there. But you’ve been in it since before it became the phenomenon it is today: How did you first find out about the race? In 2015, I was approached by one of my military mentors, West Point professor Col. Liam Collins. We do another elite competition and a number of military-style obstacles, including the Best Ranger Competition, which I ended up winning in 2016. The year before, the United States Army decided to put together a team of obstacle course racers to compete in the Spartan Race World Champions. At the time I had never heard of Spartan, but my mentor promised it would be right up my alley. Now I’m not going to show up to a race and be the only person who hasn’t run one before. I looked up one locally to get in a run before I showed up for the team. I found one in Breckenridge and it was a Spartan Beast. So right out the gate, I did the hardest one. I had no idea what I was getting myself into, but I did really well and got third place. I missed the spear throw, I had to do some burpees, but it was my first race and I came out strong. After the race, I felt like I got hit by a bus. I couldn’t even walk down stairs for a week. I knew I had to change up my training routine. I had a triathlon background, so I’m used to doing Ironman endurance races, but the grip strength, the technique – some of these obstacles you really have to fine-tune and focus on specific strength training. I ran the next few races with a strategy to follow the top two guys and gather intel. Then I got to a race in Palmerton. We went through this swim, and the other guys were just struggling. I looked around me, and I was in first. I was like, well what do I do now? I’m in first place and I don’t know how to do these obstacles, so I just made my best attempt. They ended up passing me because they had better technique. I got third place, but they were all like, who is this guy? That’s when I first came in on the radar. I don’t think anyone thought I would do well at Tahoe, but I won the World Championship on my fourth Spartan Race. They made t-shirts that said “Who the heck is Robert Killian” – I came out of nowhere. 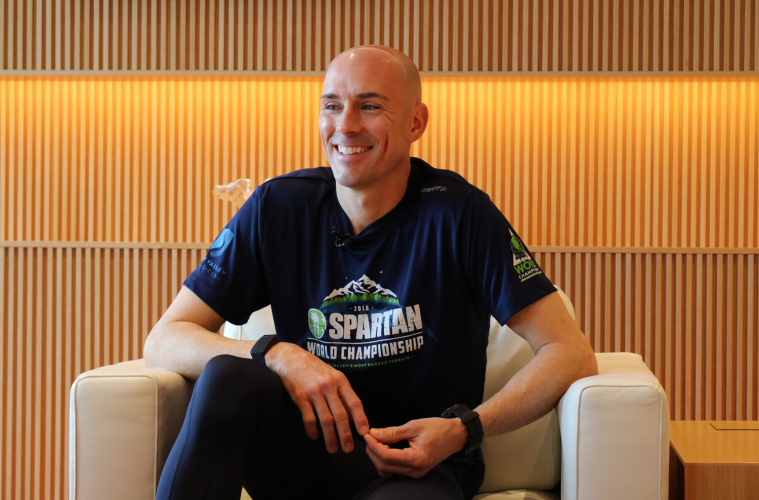 Robert Killian surprised the OCR world when he came out of nowhere to win the Spartan Race World Championship on his fourth race. Of all the Spartan races you’ve run in your career, what’s been your favorite part? Spartan Race isn’t just about doing obstacles and being the most physically fit. You have to have grit. You need mental toughness. That’s how I won Tahoe in 2015. I wasn’t the strongest. I wasn’t the fastest. I was just never going to give up. You’re not only a Spartan Champion, you’re also a father. How do you balance family life with the demanding schedule of a world-class professional athlete? I never really thought I would become a professional athlete. I have a military career. I had the opportunity to continue serving, but it’s always been a dream of mine so I went for it. You have to have support. Your wife and your kids are there to support you. They want you to do what you love. At the same time, you have to provide for them. Leaving the military was a risk for me, because I didn’t know if I was going to win races. I think they also enjoy doing what I love to do. The biggest way I balance everything is to work out with my family. I try to incorporate them as much as possible into my training routines. I always take them on runs — I bought a bob stroller and I put them side by side. It makes my workouts harder. Honestly, there will be days where I’m out there racing and I’m like, at least I’m not pushing this stroller up a mountain with two kids fighting, so it’s a win-win. They have fun outside and we enjoy being outdoors together. 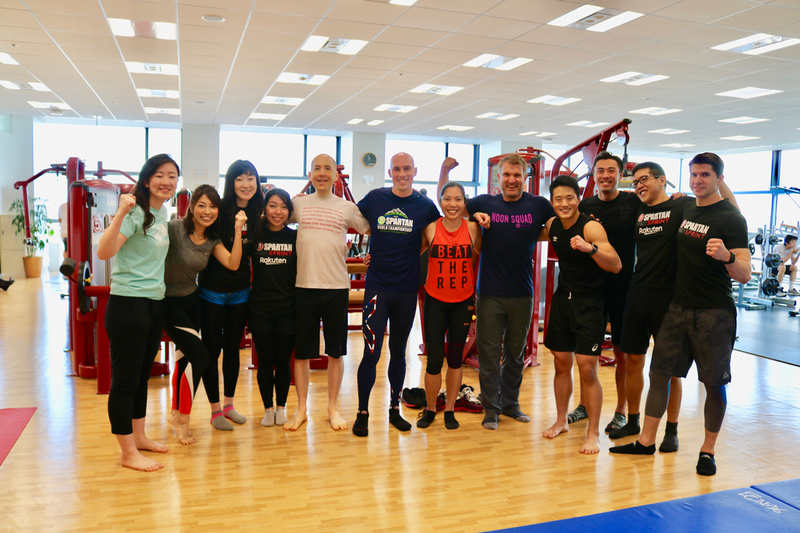 2015 Spartan Race World Champion Robert Killian visited Rakuten Crimson House and shared a few training and race tips with Rakuten’s finest. 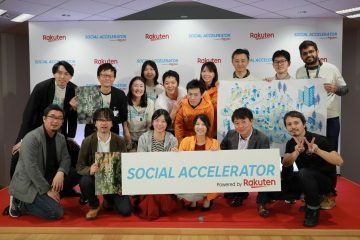 Rakuten partnered with Spartan in September of last year, becoming the official global sponsor of the race. 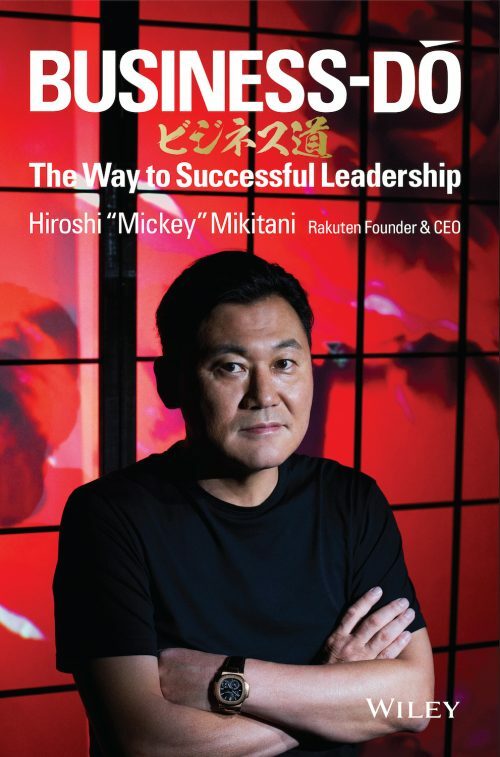 Are Rakuten and Spartan accomplishing their mission of empowering people — and getting them off the couch? Yes, it’s a team effort. Sometimes in life there are obstacles you might not be able to get over yourself. You can get assistance. It’s the same in business. Sports provides a different level of appreciation for setting goals. You have to go out there and work for it. You can’t just expect to win a race, or to complete something without preparing for it. 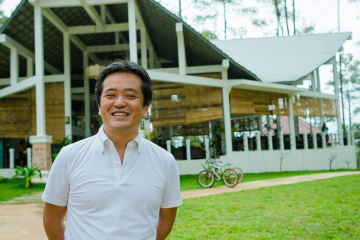 There are a lot of projects I’ve seen Rakuten taking on, like cancer research. They don’t have to do that, but they’re continuing to raise the bar. They want to do the next hardest challenge, the next thing they can do to give back. That’s very similar to what we do at Spartan. 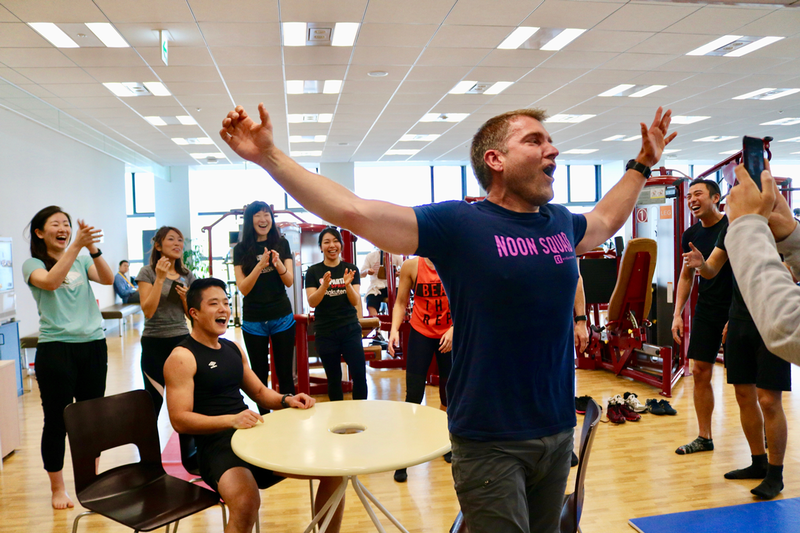 Robert Killian’s protege Trever Townsend celebrates winning an impromptu arm-wrestling contest held at Rakuten Crimson House with Rakuten’s Spartan club, the Crimson Warriors. 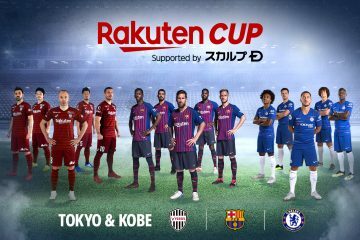 For more on Rakuten’s partnership with Spartan, visit here.